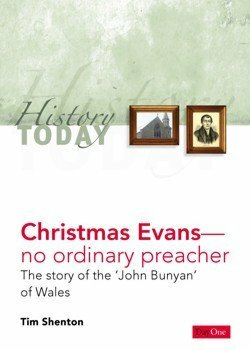 It is now 250 years since the birth of one of the greatest Welsh preachers of all time – Christmas Evans. But why was he so special? What set him apart from other preachers? And what lessons can we learn from him? I’ve said ‘encounters with God’ because there were many occasions in his life when he met with God in an extraordinary way and experienced a life-changing sense of his presence. Often when he prayed, heaven seemed to open. Sometimes Christmas Evans was so burdened in prayer for the lost that he repeated the same prayer several times. Once he did so 13 times! A deacon was most displeased by this ‘performance’, until he found out that no fewer than 13 sinners had been converted at that time! 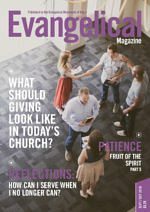 When the last of that number told his experience before the church, the deacon came forward and acknowledged his error. 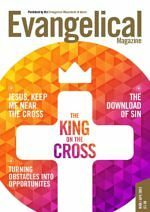 In his ministry Christmas Evans experienced the burden of prayer weighing him down and the touch of God on his soul. His prayer life was often a pleading with almighty God – sharp, fervent and honest. It was the basis of his ministry and made him, in the truest sense, a revival man. I wonder how many men there are in the church today to whom we could apply something of Spurgeon’s description of Whitefield: he was ‘all life, fire, wing, force’. Christmas Evans was cast in the mould of men like Whitefield – overwhelmed with a passion for Christ and for the lost. There was ‘life, fire, wing, force’ in his soul that caused him to agonise for the salvation of sinners. He saw the city burning and could not sleep. He sounded the trumpet of alarm. He pleaded with the godless to turn from their sin to Christ, to flee from the wrath to come. The loss of a soul is the greatest loss that ever happened. If you were to gather together all the losses caused by the flood, by the fire upon Sodom, and by the bloody wars of many ages; if you were to measure, I say, the magnitude of these losses in wealth, in kingdoms, in the blood of men and dear relations, what grief, what woe, what pangs, what sighs, what deep and heavy groans, what dire wailing would they involve, from Abel to the present day! If all the misery of past times was gathered together into one terrible groan, it would be a trifle compared with the woeful groan of a soul that has been cast down into the unquenchable fire, not for a thousand or ten thousand years, nor for years innumerable as the sand on the sea shore, but for ever and ever. 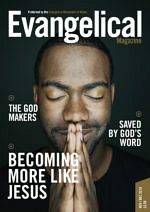 The descriptions Christmas Evans unveiled before his congregations were both beautiful and terrifying – they came alive and were easily understood by his hearers. He had the power to make the Bible live and move. His allegories and parables were of intense human interest; the names of his central characters, the scenery he pictured so vividly caught hold of the common people, and made them think they were part of the events that were being so graphically unfolded before them. His best‑known sermons were really dramas – comedies and tragedies – with Christmas Evans himself as playwright and actor. 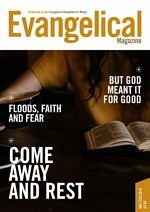 If he spoke about Calvary, for instance, his hearers could see the storm clouds gathering and terrors setting themselves in battle array before the Son of God. The shaking of the earth, the breaking of the rocks, the opening of the graves, the darkening of the sun, were not only spoken of, but brought before their eyes; and the voice of the centurion, ‘Truly this was the Son of God’, thundered in their ears and melted hardened hearts. On one occasion, when Christmas Evans was preaching on the prodigal son and describing the bedraggled and wretched young man returning to his father, he suddenly pointed to a distant hill and exclaimed, ‘There he comes!’ Thousands of people in the congregation immediately turned to where he was pointing, fully expecting to see the ‘lost son’, in a ‘rotten and tattered robe’ that was ‘not worth turning, washing or mending’ and with shoes ‘good for nothing but to be cast away’, trudging down the hillside. It has rightly been said that he possessed an overflow of imagination, which meant that he often described everything and everyone in his stories down to the smallest detail. Thus Nicodemus was not merely a man of the Pharisees, but Christmas Evans gave him a flowing white beard, a wealth of snow‑white hair and a purple robe, and described him making his way secretly at midnight through wind and driving rain to the upper room at Jerusalem. 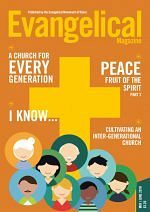 That was Christmas Evans the preacher – a man whose soul was aflame with the power of God, whose heart was broken over sinners without Christ, whose extraordinary gifts were used to the glory of God. We too must plead with God to give us the same passion for lost souls, the same heart of love for Christ, and the same dedication to the truth. 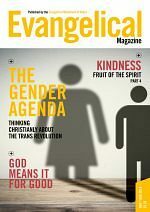 Tim Shenton is an elder at Lansdowne Baptist Church, Bournemouth, and the author of ‘Christmas Evans – no ordinary preacher’, published by Day One.